Looking for a capable SUV that can haul big loads and handle the rough winter weather and terrain in Bemidji? Then make your way to Tanner Nissan to check out our current lineup of SUVs for sale. Or if you’re looking to save money on your next family vehicle, then maybe you’ll want a used 4×4 for sale at our dealership. Stop in today to test drive any of our popular SUVs like the new Nissan Rogue and Nissan Murano–and find our SUVs with best gas mileage in in Brainerd. SV trim. Smart Device Integration, Dual Zone A/C, Lane Keeping Assist, Blind Spot Monitor, Brake Actuated Limited Slip Differential. SEE MORE!======KEY FEATURES INCLUDE: All Wheel Drive, Back-Up Camera, Satellite Radio, iPod/MP3 Input, Bluetooth, CD Player, Aluminum Wheels, Keyless Start, Dual Zone A/C, Smart Device Integration, Lane Keeping Assist, Brake Actuated Limited Slip Differential, Blind Spot Monitor. Rear Spoiler, MP3 Player, Privacy Glass, Remote Trunk Release, Keyless Entry. ======OUR OFFERINGS: At Tanner Companies we offer a broad selection of new and used Chrysler, RAM, Jeep, Dodge, and Nissan Cars, Trucks, and SUVs to Brainerd, Baxter and the surrounding St Cloud, Alexandria, and Little Falls areas. We take pride in the vehicles we sell and strive to succeed in providing an outstanding customer experience. As a leading auto dealership in our community, we are dedicated to providing our customers with great service. Please confirm the accuracy of the included equipment by calling us prior to purchase. 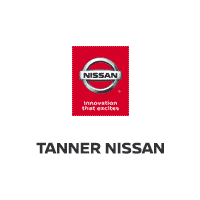 Find Your Next SUV Near Nisswa at Tanner Nissan! Find your next compact SUV or 3-row SUV with the all-terrain and all-weather performance you need in Aitkin right now at Tanner Nissan, where you can value your trade and then apply for financing right through our website. Check out all our current financing and SUV lease offers, and count on our Nissan certified technicians for all your Nissan service needs. Our dealership is easy to find in the heart of Brainerd, and you can contact us at 218-829-3597 to set up a test drive during our sales hours, Monday through Saturday.